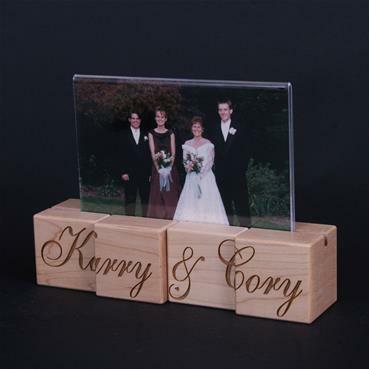 We stagger the blocks to provide depth for this contemporary photo holder which looks great on a desk or coffee table. 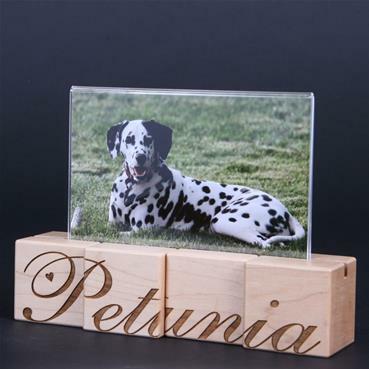 We can engrave a name or word on the front and the back of the blocks. 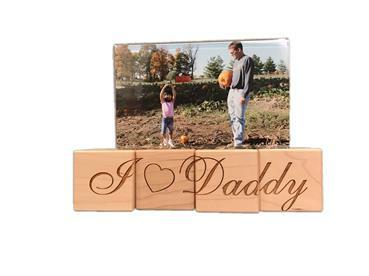 For example 1 side could read "Kids" and the other "Grandkids". 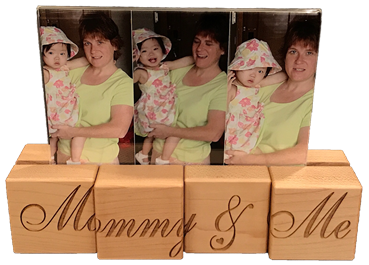 4 All Natural Maple Blocks with Beeswax Finish and a Groove cut on top. 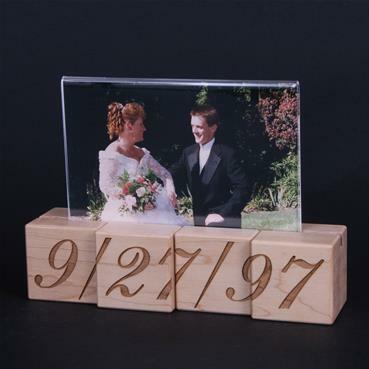 Blocks are also numbered 1-4 on bottom so you know the order to set them up. 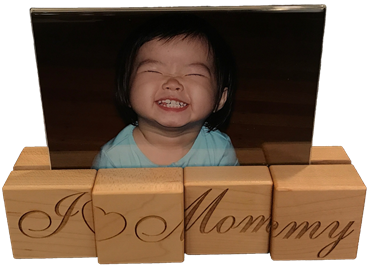 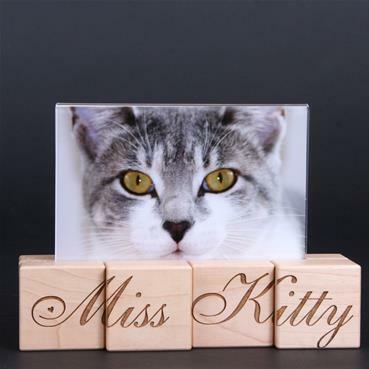 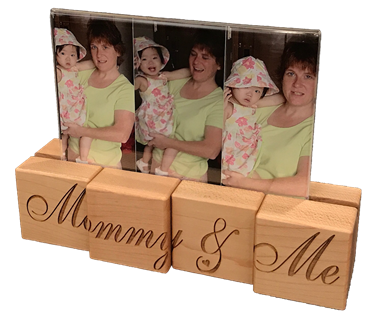 Acrylic 4x6 frame can display 2 photos at once. 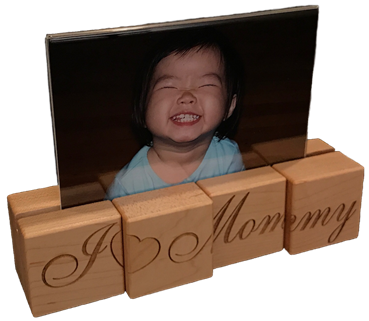 Can be Personalized Differently on 2 sides. 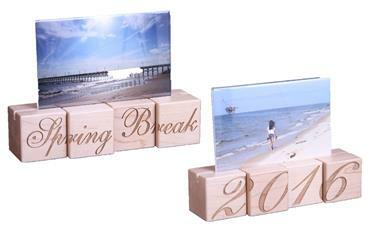 Can include "A Special Gift From" on the bottom of the set.